EA’s chief design officer Patrick Soderlund says Battlefield 5 is the game DICE wanted to make, full stop. Have you heard? Battlefield 5 has women-folk in it. Now instead of talking about gameplay, we need to have conversations about troop compositions and historical accuracy in games. Unless you’re Electronic Arts chief design officer Patrick Soderlund, who is far more direct. In short: Battlefield 5 is the game DICE wanted to make. If you don’t like the creative decisions that went into the game, you don’t have to buy it. After explaining the creative reasoning, Soderlund moved into personal examples. “I have a 13-year-old daughter that when the trailer came out and she saw all the flak, she asked me, ‘Dad, why’s this happening? '” he continued. “She plays Fortnite, and says, ‘I can be a girl in Fortnite. Why are people so upset about this?’ … I just said, ‘You know what? You’re right. This is not ok.’ These are people who are uneducated – they don’t understand that this is a plausible scenario. 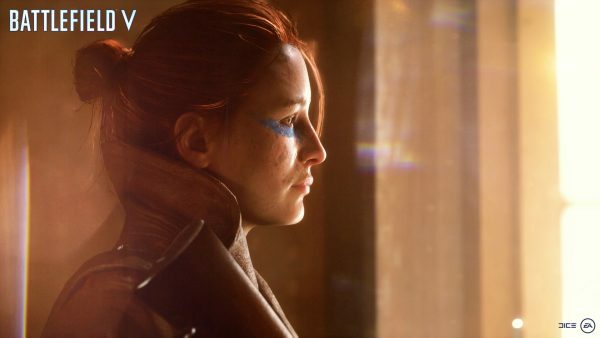 This is not the first time Electronic Arts has needed to justify DICE’s decision to include women in Battlefield 5, and it probably won’t be the last. That being said, it does sound like Soderlund perhaps a little frustrated about having to answer this specific question instead of, you know, gushing about Battlefield 5. Can you blame him?